Pedestal style, backlit dial, with two, tube powered, brass tuning eye indicators. 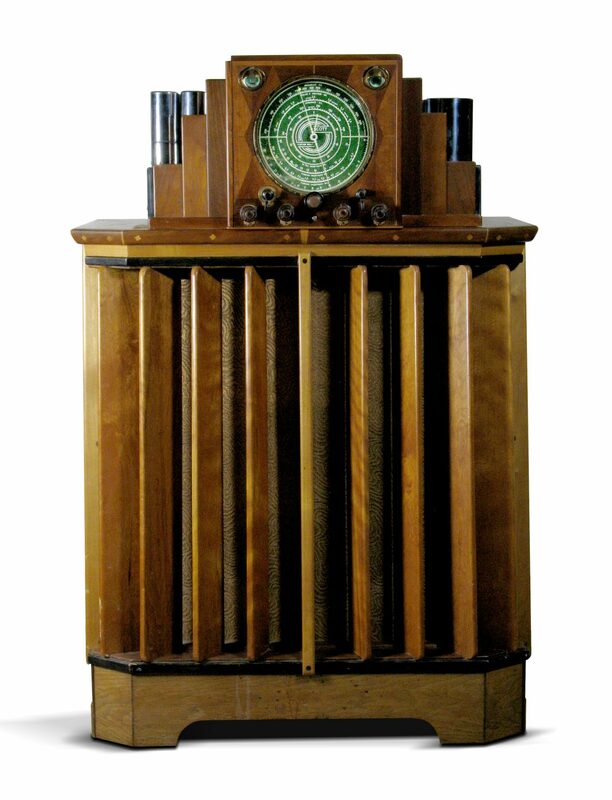 Capable of reception from the standard broadcast band up to 80 megahertz, exposed 24 chrome tubes in the main chassis and another 6 in the power supply (30 tubes total), rare pointer-dial (instead of the beam-of-light which was used in later versions.) The radio frequency section of the receiver is sensitive and selective, and can easily be configured from the front panel to match reception conditions, built-in volume expander circuit and available with remote control. 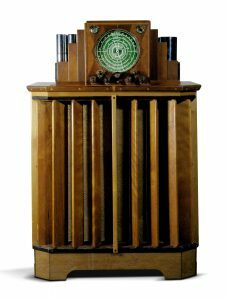 Other features include continuously variable tone controls, and a 60-watt audio output amplifier, all fed to a 15-inch loudspeaker. Custom built cabinet. Interior label reads “The finer things are always hand made.” Considered the best radio circuitry of the day.